'Baaghi' actor Tiger Shroff is soon to be seen as a superhero in his next movie 'A Flying Jatt'. The makers of the movie have recently released the teaser of the film and it seems like Tiger Shroff has raised the bar high on the action scale. Excited cast from the movie released the movie’s teaser on Twitter. 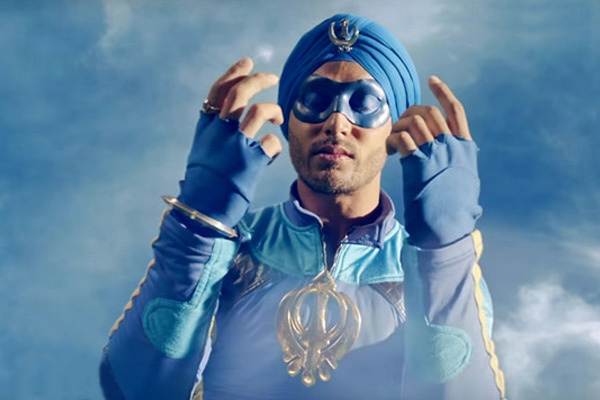 If you see the teaser, it shows the reason behind Tiger Shroff - The Flying Jatt superpowers as a superhero. He is God's representative who comes to fight evil on Earth and he has one super strong villain to defeat. Tiger Shroff is dressed in caped attire and mask, which really makes him look completely like a superhero. While, the antagonist is none other than Australian wrestler-turned-actor Nathan Jones, who is huge and double his size. Sri Lankan beauty, Jacqueline Fernandez is also in the lead you can catch her in glimpses towards the end of the teaser. This movie 'A Flying Jatt' is directed by Remo D'Souza and produced by Balaji Motion pictures. This movie will hit screens on August 25. But before that watch the teaser right here and make your day special like one 'Superhero'!